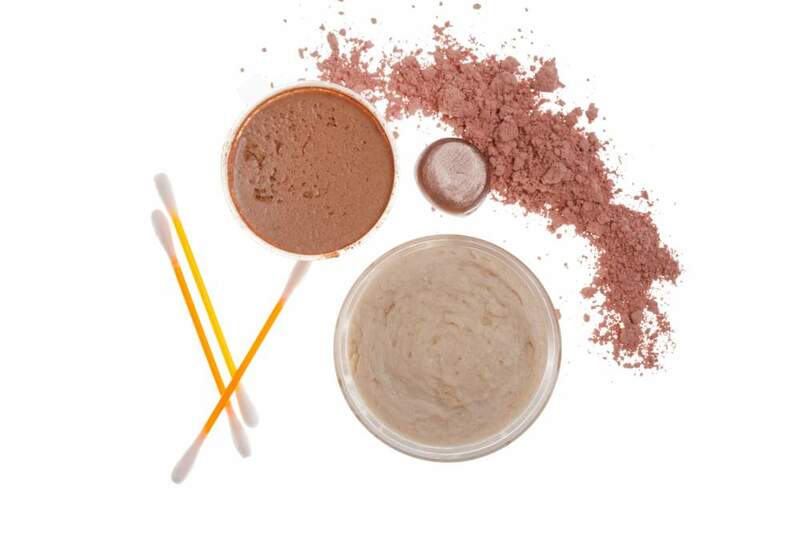 There is a variety of different clays on the market for cosmetic use. Because of this, it can be overwhelming trying to figure out which one to use. 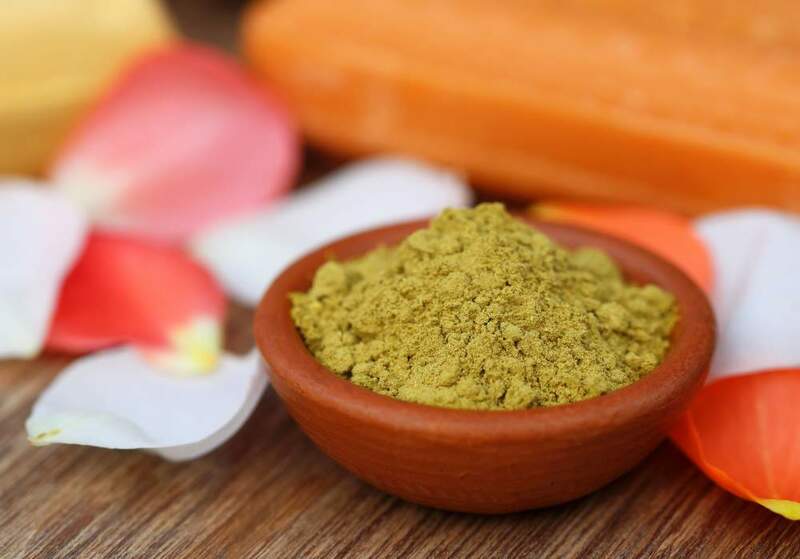 In this article you will find a comprehensive breakdown of the different cosmetic clays and their uses for skin care. The study of clay is a complex subject that one could dedicate their life to. I have spent days researching the topic of healing clay and I hope that I can simplify the complex information I have studied into an understandable form for your benefit. The definition of clay: An earthy material that is plastic when moist but hard when fired, that is composed mainly of fine particles of hydrous aluminum silicates and other minerals – source. Clay minerals typically form over long periods of time as a result of the gradual chemical weathering and erosion of rocks. Clays posses a cation-exchange capacity (CEC) and sorptive properties. They can either absorb or adsorb or both. What makes different clays unique is their mineral composition, varying CEC rates, and their ability to absorb/adsorb. The cation-exchange capacity is defined as the degree to which a clay can adsorb and exchange cations (positively charged ions). Montmorillonite has the highest CEC rate (60-70 Meq/g), with Illite below it as around 25-40 Meq/g. Kaolinite has the lowest CEC rate, at 3 – 15 Meq/g. How does this relate to skin care? All this CEC talk ​means that clay can attract and remove positively charged toxins from your skin. When a clay absorbs, it means that the clay is pulling things into itself. The more a clay absorbs, the more it swells. When a clay adsorbs, it means it is pulling things onto its surface only. Clays that only adsorb will not draw oils from the skin. There are 3 types of clay used for cosmetic purposes. These include Montmorillonite, Illite, and Kaolinite. Montmorillonite clay is: “any of a group of clay minerals and their chemical varieties that swell in water and possess high cation-exchange capacities.” – source. It is named after Montmorillon in France where it was first discovered. Montmorillonite is a member of the Smectite group. The individual crystals within montmorillonite are not tightly bound, which means water can intervene, causing the clay to swell. Smectite’s have a very high cation-exchange capacity. Chemically, Montmorillonite is hydrated sodium calcium aluminum magnesium silicate hydroxide. Montmorillonite has sorptive properties that are less than those of Illite (it absorbs 20% of water), but its remineralisation properties are very high – 70%. Montmorillonite is the main component of bentonite and fuller’s earth. Skin Type: Acne or oily skin. Appearance: Fine blueish-grey, odorless powder. Considered to be one of the most potent of all cosmetic clays. It is a rich source of trace minerals with a very high ability to absorb /adsorb. Blue clay has powerful detoxifying properties. It is very effective at drawing out oils and toxins from the skin, making it useful for people with acne. Appearance: Red, fine, odorless powder. Like Blue Montmorillonite, it is highly efficient at drawing toxins and oils from the skin. Skin Type: Works well on all skin types, but is especially helpful for oily and acne-prone skins. Appearance: Fine odorless powder, natural cream/grey colored clay. Bentonite clay is a sedimentary clay composed montomorillonite and volcanic ash. 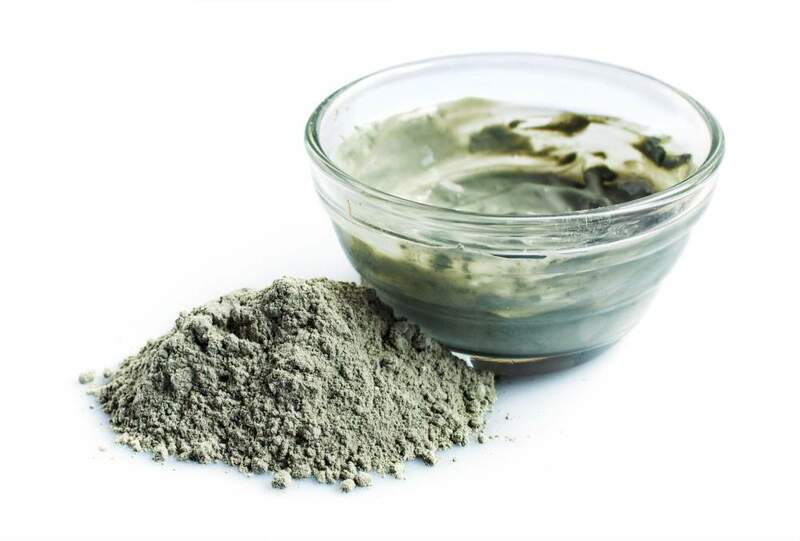 There are two types of bentonite clay used in skin care: Sodium Bentonite and Calcium Bentonite (Fullers Earth). Sodium Bentonite swells up to 14 times its size when mixed with water. Bentonite clay nourishes the skin with over 50 trace minerals. It will help draw impurities, toxins and excess sebum from the pores and acts as a natural antibiotic to help speed the healing of blemishes. Skin Type: All skin types. Especially good for oily and acne-prone skin. The rarest of the Smectites, Calcium Bentonite (Cacium Montmorillonite or Fullers Earth), is well known for its healing and detoxifying powers. The strong negative charge present in this clay allows it to attract toxins, bacteria and heavy metals and carry them away from the body. Fullers Earth (also known as Fullers Clay) is named after an antiquated term for workers who once used the powder to absorb excess lanolin from sheep’s wool. 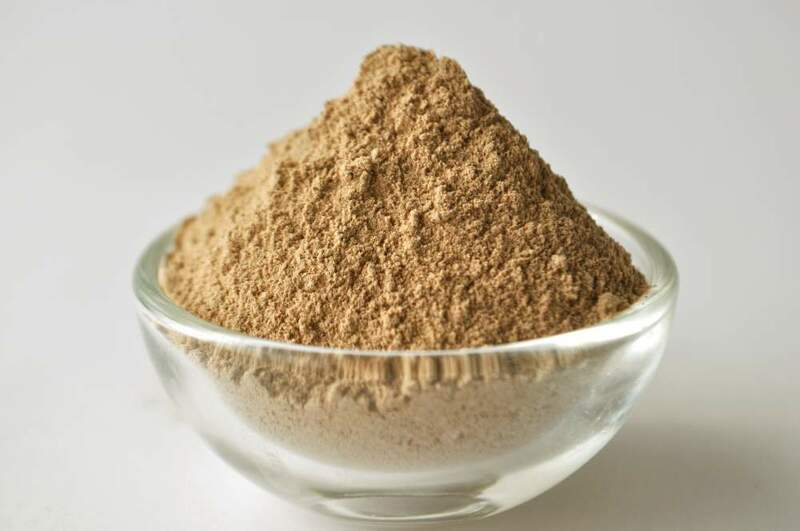 It is a sedimentary clay that is widely used as a skin-lightening agent. In the early years, all naturally occurring clays possessing bleaching properties were called Fullers Earth. Calcium Bentonite is often referred to as Fuller’s Earth because they are very close in chemical and physical properties. Being highly absorbent, Fuller’s Earth is used to make facial masks and body packs to draw out impurities. Fuller’s Earth is best known for its ability to be applied as a “facial bleach”. It is quite strong and works best on oily skin. Appearance: Smooth, grey, fine, odorless powder. This clay is mostly sourced from regions in Canada, with the largest deposits being found in British Columbia. These deposits of clay were formed after the ice age, when glaciers melted and moved. Below the glaciers, depressions would form, collecting sediment, or “drift”. As the glacial lakes dried up over time, these deposits were left behind. 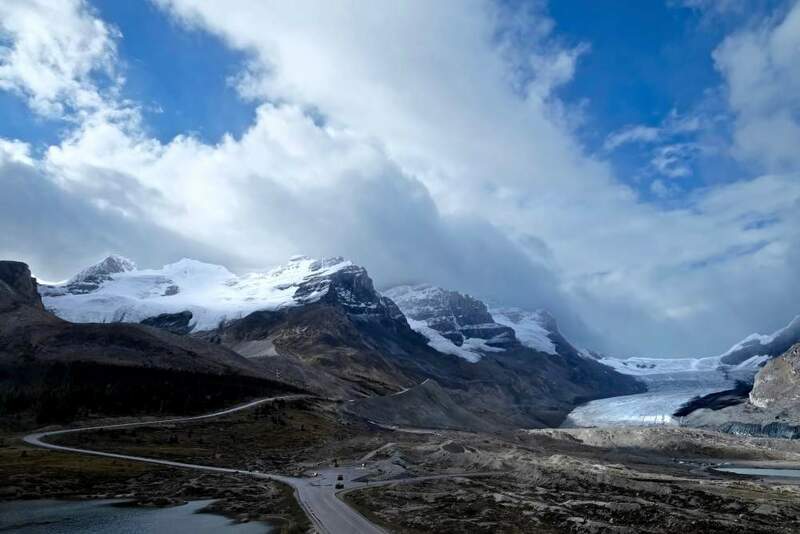 Glacial clay deposits are made up of sediment, glacial water, and other components. ​Glacial clay contains rich earth elements, marine actives, micro-nutrients, and vitamins. The particles of this clay are very small, allowing them to penetrate the inner layers of the skin and draw out toxins. Glacial clay can remove accumulated dead and dry skin cells, toxins and bacteria from the skin. It improves skin tone and texture, stimulates blood circulation and replenishes beneficial minerals and elements to protect and renew the skin. It produces erythema (local skin warming) and accelerates cell regeneration. It is an excellent choice for aging skin. 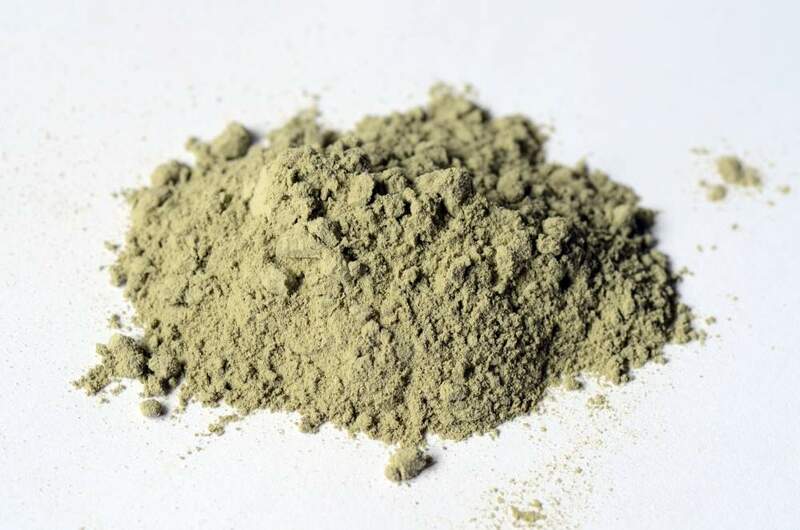 Appearance: Greyish green powder. The color is due to the presence of ferrous and magnesium ions. Contains a variety of minerals and salts including calcium, potassium, dolomite, magnesium, silica, manganese, phosphorous, silicon, copper and selenium. Most widely used of the cosmetic clays. Green Montmorillonite is the best clay for oily skin. It reduces sebum production, absorbs oils and impurities, and is an effective exfoliator. Skin Type: Normal and oily skin. Not recommended for dry/sensitive skin. Rhassoul or Morrocan Red Clay is extremely absorbent and good for detoxifying the skin. Rhassoul clay comes from ancient deposits in the fertile Atlas mountains of Morocco and has been used for centuries as a cleanser and conditioner for the skin and hair. Rhassoul clay is considered one of the rarest and most luxurious of the cosmetic clays. It is used by top spas around the world and is highly regarded in the beauty industry. Its high silica content gives it anti-aging effects. Rhassoul clay is smooth and creamy and spreads well on the skin when mixed with liquid. This clay has astringent properties and works effectively at cleansing and detoxifying the skin and hair. It has been shown to improve skin’s elasticity, clear clogged pores, stimulate circulation, and remove dead skin cells and excessive oil. Rhassoul clay nourishes the skin with its high mineral content, replacing toxic minerals with healthy minerals. Illite clay was first discovered in Maquoketa shale in Calhoun County, Illinois, where it derives its name. Illite clay is: “any of a group of mica-type clay minerals widely distributed in marine shales and related sediments” – source. It is a non-expanding clay crystalline mineral. The spaces between individual clay crystals are occupied by poorly hydrated potassium cations, producing an absence of swelling. Illite clays are a non-swelling, highly absorbant clay. They have a greater capacity for absorbing moisture (absorbs 30%) than Montmorillonite clays (absorbs 20%). This gives Illite clays a stronger drying and detoxifying effect – source. The cation-exchange capacity of illite is less than smectite clay and higher than kaolinite clay. Illite clays are best used in cases where detoxification and decongestion are important. Illite contains less magnesium than Montmorillonite. The active minerals in illite include calcium, silicium, several essential mineral oxides, magnesium, potassium, silicium, manganese, phosporous, copper, and selenium, as well a relatively small percentage of montmorillonite. Appearance: Pale green, odorless powder. It gets its natural green tones from a combination of iron oxides and decomposed plant matter, mostly seaweed and algae. Despite its name, French Green Clay does not just come from France. Though it was originally mined there, other deposits have since been found in various parts of the world. French Green Illite clay acts like a sponge, attracting water and toxins to its negatively charged surface. Stimulates blood flow to the skin, removes oils and impurities and causes dead skin cells to slough off. As the clay dries, it causes the pores to constrict, producing a firmer feeling skin. Skin Type:Dry, sensitive or combination. Appearance: Soft yellow color and velvety texture. The yellow color is attributed to its high level of iron oxide (less than Red Illite). Illite is found in certain regions in the North of France and the Atlantic basin, in the areas abundant in red clays. It is a highly absorbent clay (it absorbs 30% of water) and has a relatively low remineralisation power (8%). Yellow Illite is similar to Green Illite in its therapeutic and cosmetic properties and uses. A powerful detoxifier which draws out impurities from the skin. The clay remineralises the skin and stimulates circulation of blood and lymph. Removes dead skin cells and tones and strengthens the connective tissue. Leaves skin smooth, fresh and radiant. Skin Type: Dry skin, broken capillaries. Appearance: Fine, red powder with a velvety texture. A high percentage of iron oxide gives this clay a red color. Red Illite clay is mined from regions of Northern France and the Atlantic basin. 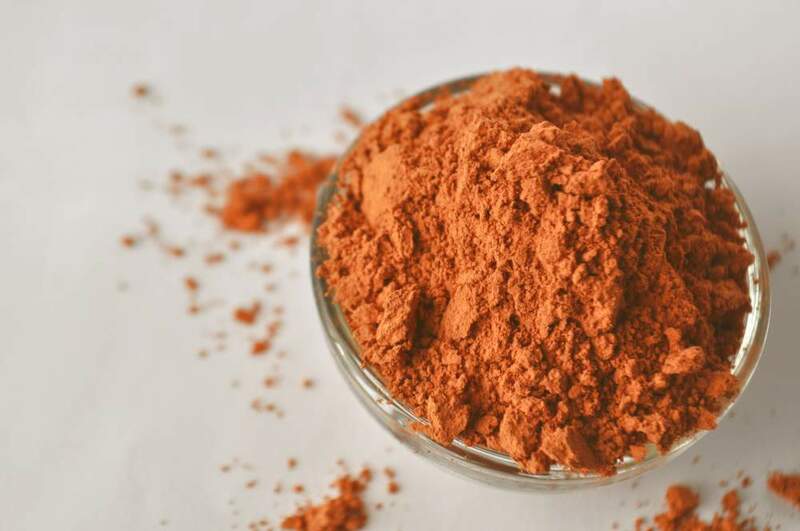 Red Illite clay is similar in properties to other Illite clays, the only difference is its higher concentration of iron oxides. Red Illite is used for its tonifying, humidifying effect on the skin. It revives pale, sallow, aging skin and purifies congested , acne-prone skin types. It improves blood circulation, improving the appearance of wrinkles and broken capillaries. It gives the skin a radiant, hydrated look. Skin Type: All skin types, but works especially well on sensitive, mature, fragile and dehydrated skin types. Appearance: Soft and velvety texture, pink or rose color. A mixture of Red Illite and White Kaolin clay. It is used in cosmetics for its soft, soothing, tonifying action on the skin. French pink clay is considered to be one of the mildest of all clays. Used to cleanse and detoxify the skin. This clay removes dead skin cells and creates an overall refreshed appearance. It can be used to treat acne, poor blood and/or lymph circulation and sun damaged skin. 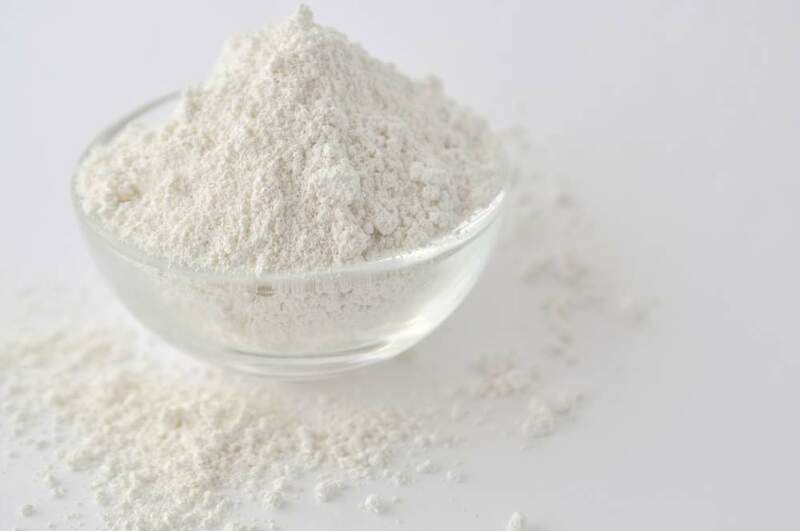 Kaolinite clay is: “a group of common clay minerals that are hydrous aluminum silicates; they comprise the principal ingredients of kaolin (china clay)” – source. Kaolin clay gets its name from the Chinese word, “Gaoling”, meaning “high ridge”. The name entered the English language from the french version of the word: kaolin. Kaolinite is a non-swelling clay with a low cation-exchange capacity. It is composed of silica, iron, magnesium, calcium, sodium, zinc, and other minerals. Kaolin clay does not absorb, it only adsorbs. This means it does not take impurities into itself, but rather holds them on its surface. Appearance: Fine, white or colored odorless powder. 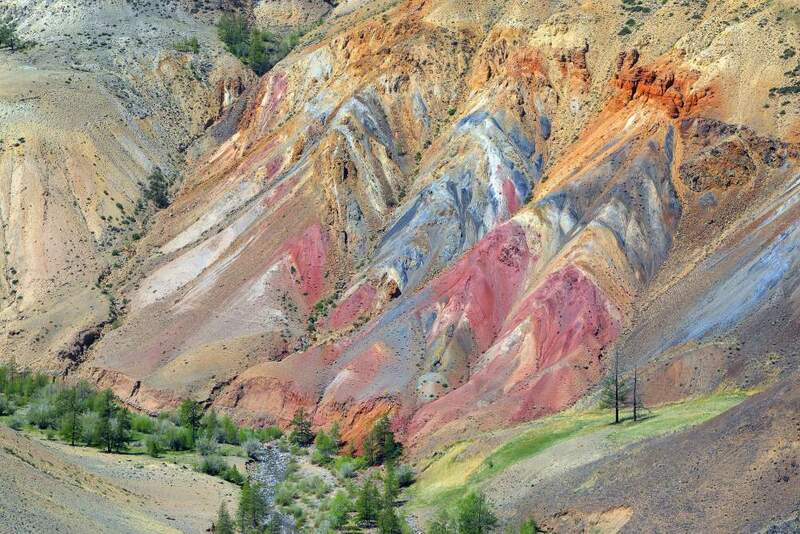 Kaolin has been mined in the US, France, Germany, England and the Czech Republic. Kaolin is one of Georgia States’s largest natural resource. It is often white in color but can range in color depending on its combination with other elements. Kaolin clay appears pink-orange in combination with iron oxide, and yellow when in combination with feldspar. One of the mildest of all clays, Kaolin clay stimulates circulation to the skin while gently exfoliating and cleansing. It adsorbs impurities without removing the skins natural oils, making it great for dry and sensitive skin types. This clay has a high silica content which helps skin cells regenerate. 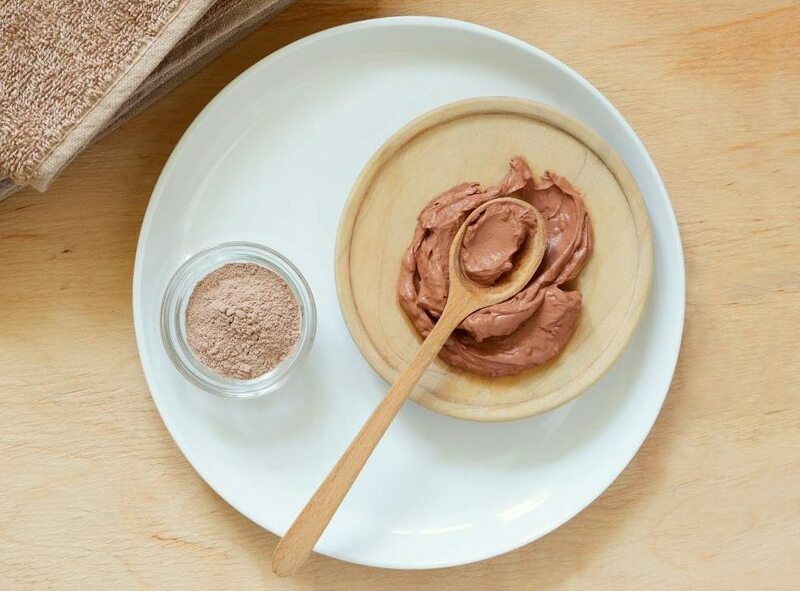 Basic clay mask recipe: Mix 1 teaspoon of powdered clay with 1 teaspoon water. Mix clay and water together in a glass bowl with a wooden spoon or a face brush until they form a paste. Apply the mixture to your face and neck with your fingers or a brush. Leave the mask on until it almost dry (you will see it drying and the clay will be sticky to the touch). If you leave the mask on until it is fully dry, your skin will be zapped of moisture and you will have to apply a moisturizer. 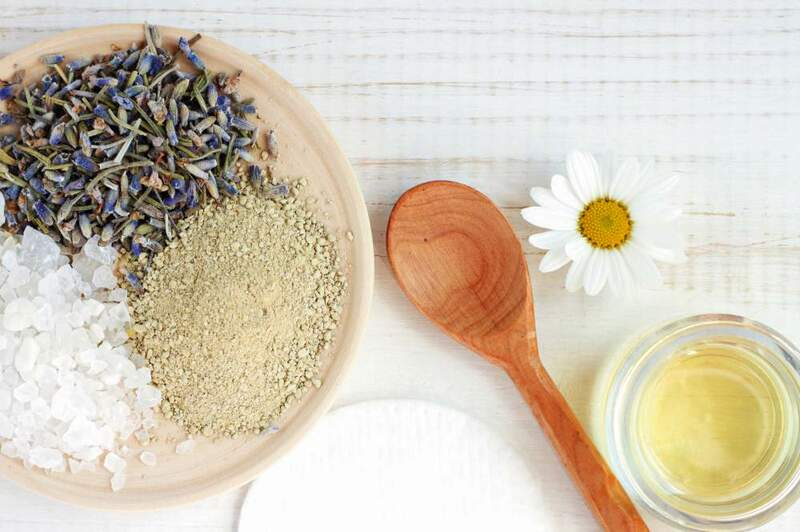 What makes clay great for skin care is its ability to draw out impurities, toxins, heavy metals, bacteria and oils from the skin, while remineralizing the skin with beneficial elements. Clay detoxifies and cleans out the pores. As it drys, it tightens pores, giving the skin a clearer, more refined appearance. Clay stimulates circulation and exfoliates the skin. It is best used as a weekly or twice weekly treatment, because overuse will overly dry out the skin. 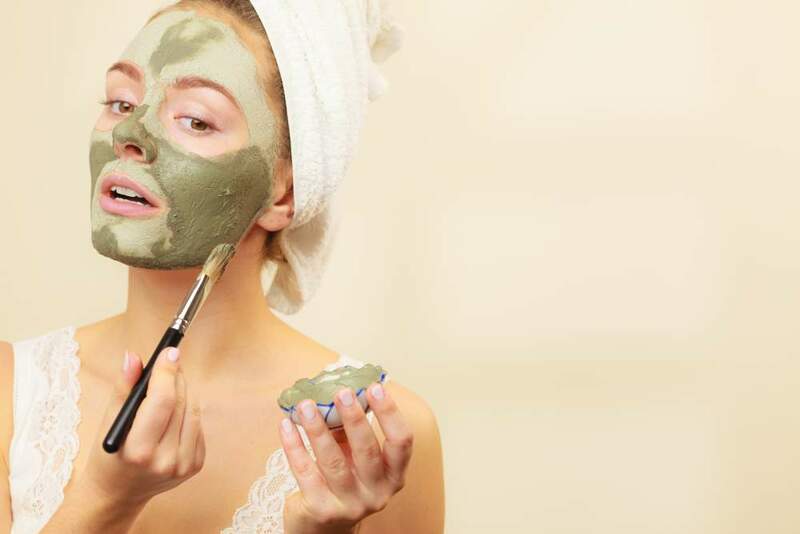 By choosing the best clay for your skin type, anyone can benefit from a clay mask treatment. 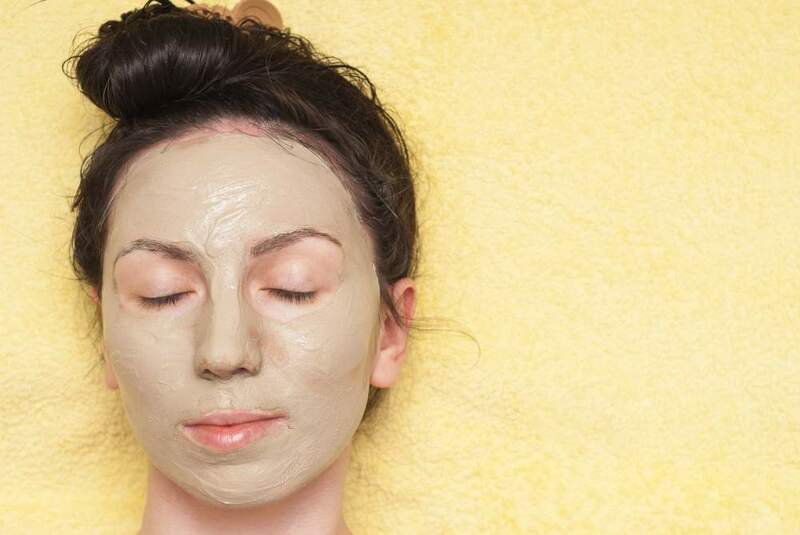 Try a clay mask today, and see the results of this timeless remedy. What is your favorite clay? Be sure to leave any questions you may have in the comments below, and if you liked this article, share it with your friends! Is it possible to get a tiny bit of all of these clays, say 50 g of each? Hi Crystal. You can get a sample pack of 13 different clays (2 oz each) at From Nature With Love. we are an organic shop selling food and cosmetics in Bulgaria and the region. May we translate into Bulgarian the information about clays from your website and publish it on our online shop with references? 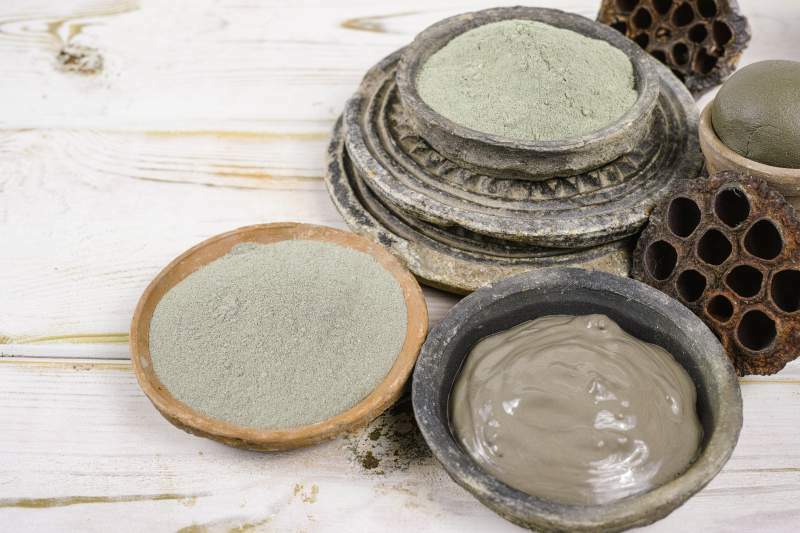 Can a blue clay used for skin care?